Our Copenhagen counterparts recently blogged about Red Riding Hood, and so I thought it a propos to then post this shot I took of a girl riding in the infamous SF hipster neighborhood of the Mission. Lilia and I recently discussed what is the San Francisco cycle-style. Clearly we differ from the sophistication of the European cyclists we see riding in Copenhagen and London. 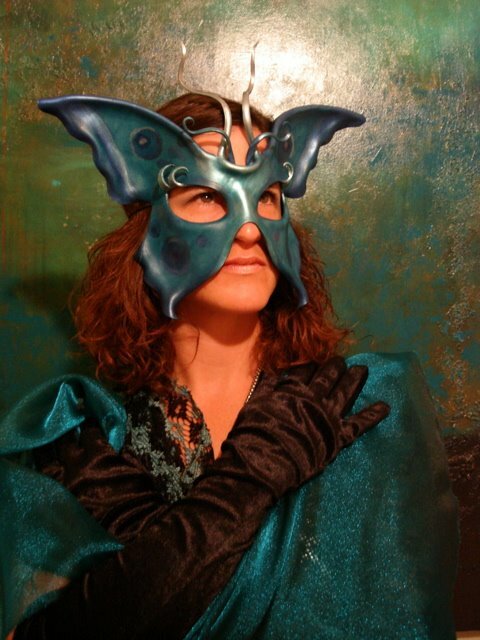 However, SF has a style all its own. 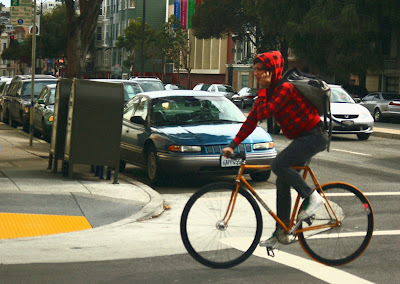 This hipster chick in her red hoodie sweatshirt, skinny jeans and Converse hi-tops, speeding down 16th Street on her orange fixie, chatting on her cellie, personifies that street style, and represents a major part of the SF cycling community. So, so cool! You're doing a great job with the blog. THANK YOU! We are having so much fun documenting stylish San Franciscan cyclists!!! And there's plenty of them from what I can see! I really like your approach, talking to the cyclists and getting a bit of background info; it really humanises the blog. Thanks again for the positive feedback, Aaron! You know how much we love Copenhagen Cycle Chic too!